CPM TEST PHASE BEGINS @ INTERORBITAL SYSTEMS! Mojave-07.02.15 2015 started with a BANG! as the Google Lunar X PRIZE awarded $6Million in Milestone Prizes. Team Synergy Moon has also been busy, with lots of development work happening at Interorbital Systems for our launch infrastructure, launch vehicle and lunar lander. Hardware and software development of guidance systems has been ongoing, with extensive system testing. Guidance test items include an Interorbital-designed quadcopter and a rocket-propelled hover craft that also serves as a prototype for our Lunar landing vehicle. The quadcopter has allowed Interorbital to safely develop the first iteration of its unique adaptive guidance software. Several tests of throttleable thrusters have been successfully completed. The Lunar Lander prototype (designated the VIRUS-1) is powered by the same on-off hypergolic thrusters that will steer the NEPTUNE-series launch vehicles. Eight 100-lb (448-n) thrusters will provide pitch, yaw, and roll control. The guidance system utilizes a low-cost IMU and the adaptive guidance software developed by Interorbital. As soon as the static tests of the system are completed, the vehicle's landing legs and head will be added and tethered tests will begin. Construction of the unique 25-ton vertical ocean launch system continues at their Mojave location. It will be deployed via a special barge from the new IOS launch-staging area at the Port of Los Angeles. Interorbital will fly a guided version of the CPM-TV to verify and flight-qualify both the guidance system and the ocean-launch system. That launch will take place from the Pacific Ocean west of the Port of Los Angeles. We are planning both land and sea based CPM-TV test launches before the end of this year. Rod and Randa recently returned from offices in Washington DC, where they were in meetings with the FAA AST office starting the orbital launch license application process. They were on The Space Show in June, where they talked about the trip, the application process, launch site plans, and details about upcoming test flights and orbital flights leading up to our GLXP lunar mission. They also announced their $1Million price to take 30 to 50 kilos of payload to a 310km orbit! Interorbital has sold out its first two orbital missions with over 60 small sats on the launch manifest for 2015; bookings continue for Mission III. 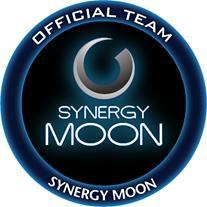 To learn more about SYNERGY MOON visit www.synergymoon.com and www.googlelunarxprize.org. SYNERGY MOON photos, videos, and other materials are available upon request. Copyright © 2007-2011 InterPlanetary Ventures. All right reserved.